Of the Greek yacht charter population it is estimated that only 8 to 10 percent are multihulls, all of which are catamarans and none trimarans. Therefore you will find a lot more options for monohulls than for catamaran sailing in Greece! Especially for the French, who clearly adore multihull, but also for some Americans, it can be disappointing to realize that catamaran sailing in Greece is rather more difficult to arrange than at home. Most Greek ports are not equipped to handle such wide multihulls, when it is crowed (August!). Solution however is simple: arrive before 14:00 or 15:00 hours. 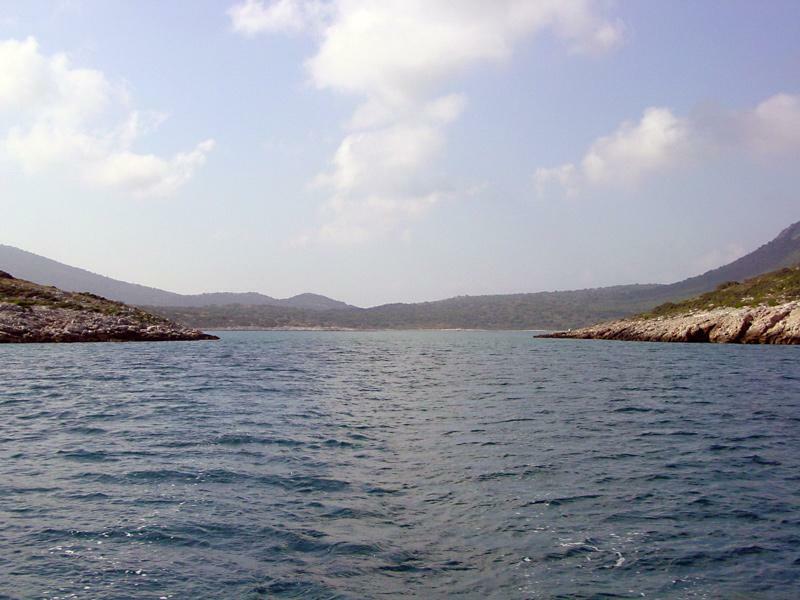 You can anchor in shallower bays and inlets, often getting right up to the little beach that is invariably at the head of the coves and inlets. Definitely more spacious than a monohull of the same length. No steps between the outside and inside. More privacy when on a skippered charter or a crewed charter. So, now that we have established enough reasons why you should go catamaran sailing, it is time to find the best ports and charter areas. Outside the main season - August and adjacent weeks - Lefkas (Ionian sea) and Athens (Saronic gulf and Argolic Gulf) are ideal catamaran sailing, less waves, shorter distances and in the Ionian you will experience the Maistro wind, which is gentle and reliable throughout the yacht charter season in Greece. Notably, there is also a tremendous amount of catamaran sailing done in the Aegean, particularly in the Southern Cyclades and the Dodecanese. Most of these catamarans are not charter yachts but are privately owned, but it proofs that these sailing grounds are superb for catamaran sailing! Islands to visit: Amorgos, Santorini, Sifnos, Paros, Naxos (plus the so-called Little Cyclades just south of the island), Astypalea, Kos, Symi, Rhodes, Nisyros, Patmos, etc. Further north there is for example Kythnos, Delos and of course Andros & Tinos. Well worth the extra mileage. Note, that catamaran sailing in these Aegean waters is not for everyone, occasionally you will have to battle against the strong northerlies or even against a Meltemi, and in such weather the best method of getting the multihull upwind is by motoring.